Enjoy the best inspirational, motivational, positive, funny and famous quotes by Abu Dhar al-Ghifari. Use words and picture quotations to push forward and inspire you keep going in life! 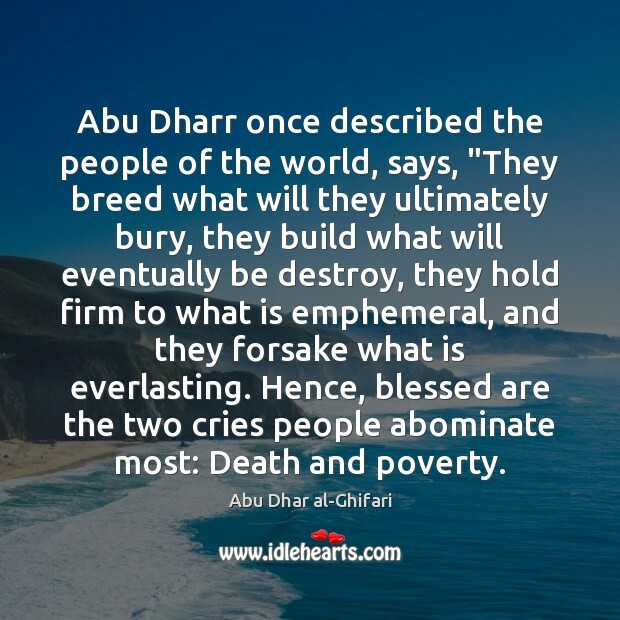 Abu Dharr once described the people of the world, says, "They breed what will they ultimately bury, they build what will eventually be destroy, they hold firm to what is emphemeral, and they forsake what is everlasting. Hence, blessed are the two cries people abominate most: Death and poverty.